Do you want to build up your image on the Internet as credible, reliable author? Below I’ll give you some features that can ruin your prestige if you include them constantly to your articles. So what should you avoid? Most bloggers are not English native speakers, so it is common and some way acceptable that they sometimes use wrong grammar structures or irrelevant vocabulary. It is very hard to avoid a number of such mistakes if your mother tongue is not English. However you can reduce misspelling. Mostly spelling errors are corrected automatically by Word. The biggest problem is words which sound similar e.g. “food” and “foot” or have the same pronunciation e.g. “two” and “too” . Their meaning is different, so if you confuse them they can disturb your text. To be on the safe side, use your dictionary whenever you are in doubt. It doesn’t look good if some valuable details are missing. Especially in an article referring to news. Your readers might have the impression, they know more about the topic than you do. Before starting writing about a certain subject try to do some research to find out as much as possible. Make your text reliable. Don’t put the information, you are not sure of. Confusing people’s names, event’s dates or just publishing the out-of-date stuff is the best way to ruin your reputation as a credible author. Make sure your readers can understand exactly, what you are trying to tell them. Don’t waste their time. You should take care of your audience and present clear and directly what you have to say, and what is your own point of view. So should be all the messages you want to share – clear. I believe the absolute clarity helps you to enhance the value of your blog and gain respect of the readers. Don’t manipulate facts. Some people have a bad habit to generalize and that might be very harmful to their writing. If you write for example “all the old people…” or ” most of the divorced people …” try at least to support the statement with relevant research or add the source of your knowing. The best advice is to give the factual percentage value. Misinterpretations are very common in sites referring to celebrities’ lives. The authors have got actually only one insider piece of information and then they use it to come up with more “facts”. How is it called? Speculations? Gossiping? If you wish to get a wide range of readers of different origins, countries or social status don’t be partial, stay objective. Everyone who visits your site should feel welcome to express his or her views on life. Radical attitude might cause that a lot of visitors can feel offended by the posts on your blog. Disorder in your texts is very harmful for your site. Every post on your blog should be well organized and the main ideas should be presented in a logical way. Make sure you could give a topic sentence to each paragraph. Planning before you start writing is also the most effective use of time. It requires less effort than writing the whole piece as you go without any specific plan. And what do you think about it? 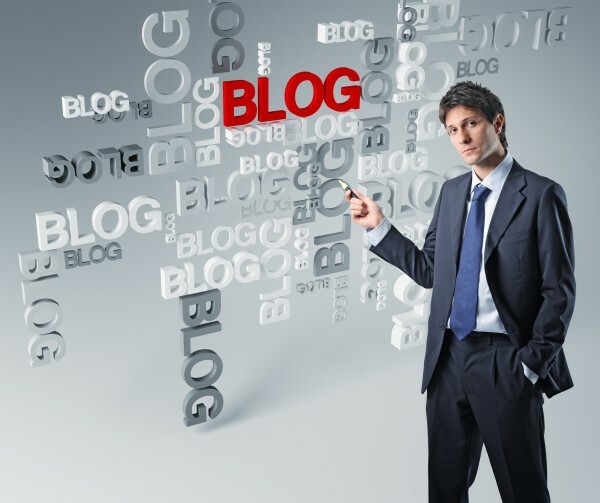 Providing clear, well-written, and error-free content will certainly add to your level of professional credibility as a writer, and thus a “blogging authority”. These mistakes can be easily avoided for the most part and should be checked for not only in blog posts but also in comments (like this one), emails, and finally in profiles on any social networks. I know that some regard these venues as “casual” – but communication errors don’t only mar your reputation, they hinder your level of clarity. It’s not always possible, but it also helps to have another individual check your work. It’s easy to lose perspective regarding your own work. I know, despite my best efforts, that I don’t always catch all my mistakes! Thanks for the insightful words! I agree with you. Everyone should provide clear messages in comments too. Although this type of text is rather casual (because written in a relax way), you sign it your name. I think we shouldn’t criticize the others, because they make a lot of errors. But we must focus on what WE write and try to make it better and better. Misspellings can get me every time. I find it helps if I re-read them on my smart phone, always catch one or two that way. #2 is important too, it’s like only showing some of the facts on a topic. Love #6 and #7. Nice piece! It’s great idea to use a smart phone to get rid off misspellings. Thanks a lot! These are all good tips- a lot of bloggers seem to throw a post up and never look at it twice. I am kind of a stickler for grammar and spelling issues, so I always want to read over my work before it is published. I think it is a very bad habit to publish a post without read it over. Even if I write in Polish which is my mother tongue, I find misspellings very often. This is very useful information. I have to say that when an article is poorly written with spelling mistakes and poor grammar, I question the accuracy of the content. I try to proof read my own articles dozens of times, but every so often an error creeps in and I shudder in horror when I read it! I also try to read my articles many times before I publish them. One of the best way to correct spelling and grammar mistakes is to ask someone else to read it. I do it very often, especially for my articles in English. Misspellings and wrong punctuation can change the very meaning of what is written. Facts form the basis of any good writing. Nice post. Good tips on how to write a good post and avoid those mistakes. Lets face it, the internet has changed the world and more and more bloggers are coming from all over the world and many are non-English speakers. But many of them are capable writers but yes, perhaps some extra proof reading could be required. There are a lot of very capable writers from non-English countries. We should forgive them some errors. They have to work really hard to produce a good piece of text. The English writers worry about what to write. The non-English writers worry about what to write and how to write it in English. Some great tips so thank you for sharing. As you mention, misspellings can creep into writing quite easily even with a spell checker. There’s also the difference between British and US spellings for words and which you go for. Obviously for me it would be the British spelling as I’m from the UK but there are also some uses of words in the UK and vice versa in the US which can cause confusion. You made me aware of something very important for writers whose mother tongue is not English. Because of the difference beween British English and American English they can make some funny mistakes and be unaware ot that. Great tips ahead and informative indeed! Sometimes when I am about to write an article I’ll have to make sure the correct spelling and also the grammar. One misspelled word can ruin the entire article. Those are great tips Monica and like Lisa said, the misspellings kind of irritate me. With all the software we have to help us today that really shouldn’t be an issue any longer. People who don’t get to the point and ramble on those kind of get to me also. I don’t have a lot of pet peeves only because I know there are a lot of people who are just starting out so I know mistakes will be made. But for someone who has been here awhile then I think they should do better. Great share though and definitely agree. Thanks for stopping by. I’m glad your point of view is the same. Some very potent tips, Monica..
Keeping posts error free and tidy can make a lot of difference to the visitor experience, and reflects well on the Author(webmaster)…. It’s often when we go back through our older posts that we find plenty of spelling errors, and some messy post(page) presentation……. Doing multiple drafts on latest posts, and casting an occasional eye over older posts, can be very beneficial..
You’re right. Information errors can be more harmful than misspellings. I think partiality discourages many people from following our posts. These 7 things should definitely be avoided. I understand the native language thing and how some blogger can commit certain grammatical errors as that is acceptable. However, I really don’t like it if you can’t make any sense in what they’re trying to say. Sometimes, it’s as if a computer has spun the whole post replacing every word with synonyms. I’m agree with you. It can be really irritating if you can’t understand, what a writer tries to tell us. Even worse news is that the whole work is in vain. I agree with you on every point here. Get so pained whenever I visit a blog and there is so much errors and little to no details about the topic being discussed. I think, it’s time for bloggers to know that this is serious business and not just for everyone. Thanks for sharing. These are some of the blunders most of us make, this is a very good resource for me, thanks for sharing. I am new in this field of internet pramotion via internet…was searching in Google about it and i landed on your blog,Learnt a lot of tips on it ….i am doing lots of directory submissions to rank my keywords high…Please guide me if i am doing the right way!!! I absolutely agree. I let someone edit my articles before publishing them to make sure that mistakes are avoided. In today’s world, misinformation could be unfortunate given that access to information is readily available in just a click of a mouse button. There’s Google if one wants to check the correctness of facts. To make strong author presence it’s important to unleash excellent and creative writing ability. By avoiding above mentioned 7 things any author can build up image on the Internet as credible, reliable author. Thanks. Good tips on how to avoid making mistakes. Sometimes we do get carried away into creating long and useless posts but the fact is that we should make it nice and sweet so that readers like and will share it. Every blogger would ” want to build up your image on the Internet as credible, reliable author “,for this you must explain every point of the article so that audience feet useful to read,and curious to visit again.